When visiting Amsterdam, you'll come across expensive admission fees at many top museums and attractions. Fortunately, visitors can save with one of several tourist discount cards, which offer free and reduced-price admission to museums and attractions as well as other benefits. Find out which card will save you the most on your travels. 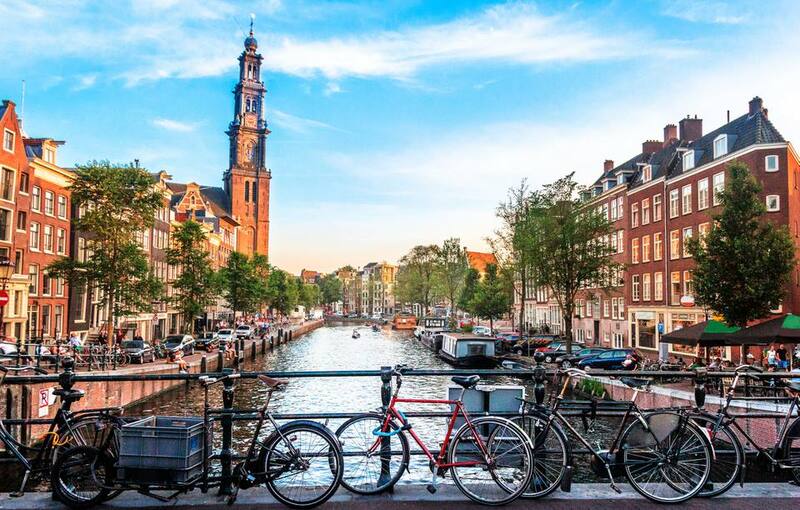 The popular I amsterdam City Card allows cardholders free access to over 50 museums and attractions, more than 60 discount offers at restaurants and attractions, a free canal cruise, and unlimited free public transit for the duration of validity. Cards are available for 24-, 48-, and 72-hour periods; each dual-purpose card is activated the first time it is used at an attraction, plus the first time it is used for public transit (the two features are activated independently). While the city card is valid for most major Amsterdam museums, there are some unfortunate omissions, the Anne Frank Huis in particular. There is no special I amsterdam City Card for children (as opposed to the Amsterdam Holland Pass below). Parents are advised to check in advance whether it is worth it to purchase city cards for their children, as museums typically offer free or discounted admission fees for kids. However, it is worth consideration for children older than 12. The I amsterdam City Card is available online from the I amsterdam website, or in person at several convenient points of sale: the Holland Tourist Information counter at Arrivals Hall 2 in Amsterdam Airport Schiphol; the tourist information center at Stationsplein 10, opposite Amsterdam Central Station; the Uitburo Ticket Shop at Leidseplein 26; and several other locations (see website for complete list). Best for: Tourists who want to cram in as much of Amsterdam, its museums, and attractions within one, two, or three days and for as little money as possible. The Amsterdam Holland Pass is more versatile than the I amsterdam City Card. The multiple "editions" of this pass allow visitors to make a choice based on the number of attractions on their itinerary. Passes are valid for two, five, or seven entrance tickets; fast-track entrance at several major attractions; and a discount card that fetches up to 50% discounts at selected museums, attractions, shops, and restaurants. The Holland Pass Kids is a special reduced-price card that's valid for five free entrance tickets. Each Holland Pass also includes a ticket for free transportation that can be used for one of three options: 1) a 1.5-hour Amsterdam city tour, where tourists are taken on a whistle-stop bus tour of the major landmarks in town; 2) 24 hours of free public transportation in Rotterdam or The Hague; or 3) a free bike rental in Utrecht. One caveat is that the free entrance tickets bear different icons -- a tulip, windmill, or wooden shoe -- and are only redeemable at attractions marked with the same icon in the Holland Pass brochure (or website). Still, some attractions are marked with multiple icons, and others offer Holland Pass holders a discount even after their free tickets are exhausted. Visitors should be sure to plan their itinerary beforehand to make certain that their passes will cover all the attractions on their list. Note that the Holland Pass can be used toward the Rijksmuseum (unlike the I amsterdam City Card) but not toward the Anne Frank House. The pass can be purchased either online from the Holland Pass website or in person at various locations. See the website for a complete list of sales locations. Best for: Tourists who want to see a number of Dutch cities and a few museums and attractions, but don't plan to museum-hop too intensively. The National Museumkaart is a no-frills museum pass that is valid for nearly 400 museums across the Netherlands. By "no frills," we mean that the card offers no free city tours, no free transport, no discounts for other attractions, restaurants, and shops--just unlimited access to hundreds of museums for a 12-month period, and this alone can make the card a stellar deal indeed. While the Museumkaart is a no-brainer for Netherlands-based museum lovers, it can also be ideal for short-term visitors whose passion for museums stretches the boundaries of the other tourist discount cards. For example, art lovers who will be in the Netherlands for upwards of a week and want to visit one or more museums, perhaps in various cities, every day of their trip. With the I amsterdam City Card restricted to the capital and the Holland Pass limited to a maximum of seven attractions, the Museumkaart is the one deal that often makes the most sense for culture lovers. And, since it's valid for a whole twelve months, the card is also excellent for the fortunate travelers who plan to be the Netherlands more than once in a twelve-month period. The Museumkaart is available at hundreds of museums nationwide. For sales locations, see the Museumkaart website (Dutch only - otherwise, use an online translation tool, or email the Museumkaart Foundation at klantenservice@museumkaart.nl). Best for: Tourists who want to museum-hop in various cities and travelers on an extended stay or who expect to return to the Netherlands multiple times within a 12-month period.